The love for carpet in the home has declined and hard surface flooring has become increasingly popular. You see the home makeover shows where they take the couple into a home that could use some love and the wife is mortified because the home has carpeting. If you love a home with a super cozy, comfy, and homey feel maybe you shouldn’t be too quick to rule out carpet. Here are 11 reasons why we think carpet should make a comeback. Insulation- Carpet can help keep your home warm and hold in the heat during colder winter months. A great benefit this winter with the very cold temperatures all over the nation. With energy costs climbing carpet can help save a buck or two on your heating bill. Added luxury- Book a night or two in a luxury hotel and you will more than likely find carpet on the floors. It brings in an extra softness and cozy. A growing trend in home décor is to use carpet as a focal point with bold pattern in a neutral pallet it gives an upscale look. Keep Your Home Safe- Carpet gives extra grip beneath the feet reducing the likelihood of slipping and falling, especially on the stairs. This is a great feature if you have toddlers learning to walk or elderly family members. Keep the Noise Down- Carpet absorbs sound. Footsteps on hard surface floors are louder than those taken on carpet. Carpet also absorbs the sound from noisemakers such as the T.V. and stereo. A great quality pad helps absorb the noise even more, something to consider if you live in a condo. Lifespan- Carpet has a pretty good life span and is a durable choice when you purchase a good quality fiber and take proper care measures such as regular vacuuming and routine professional cleanings. Easy to Care For- to keep your carpets their best and your home clean carpet only requires a proper vacuuming once a week, twice if you have high traffic or pets. You will also want to have your carpets deep cleaned once a year, unlike hardwoods that require daily sweeping and weekly mopping. Soft- Carpet is soft and because of that there are many benefits. 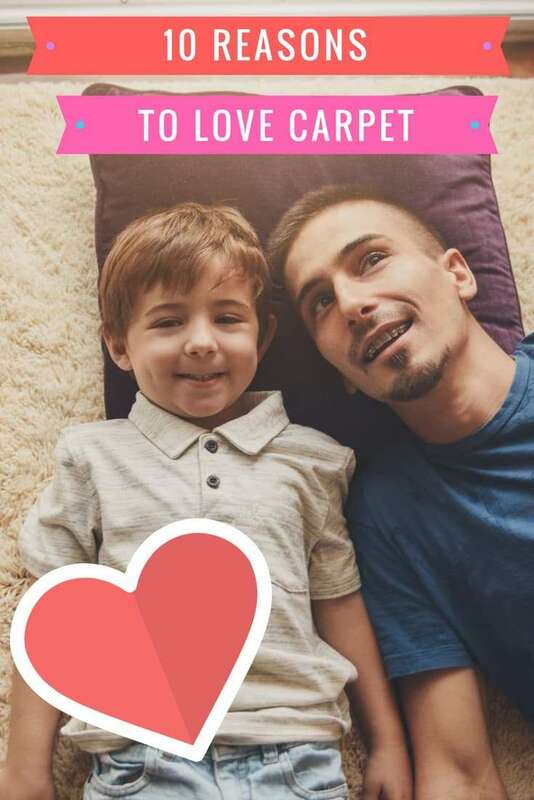 You can play with young children on the floor, you can have a movie night and cozy up on the floor with a few pillows, game nights or more enjoyable on a warm comfy carpet, and etc. The Room Feels Bigger- When you have a hard surface floor you more than likely will set up an area rug or two to make a space feel more cozy, although this defines the space it can chop up an open concept living area. Wall to wall carpet gives an illusion of a larger more expansive space. Budget Friendly- Most carpet costs significantly less than hard surface flooring options especially popular hardwood options. There is of course some high end carpet, but the majority of carpet choices are going to be more carpet friendly. For more carpet care tips and advice please feel free to browse the website. For the best carpet care in the Greater Puget Sound Area make an appointment with All Kleen.